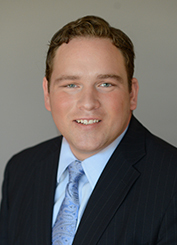 Mr. Smith is a Sales Associate in L. Mason Capitani CORFAC International’s Office Properties Division. His main focus is on the sales and leasing of office, medical and hi-tech/flex properties in metropolitan Detroit and he is a member of the listing team on many of the firm’s most prominent projects. Mr. Smith’s prior work experience in physical sales and staffing has served him well when prospecting for new accounts in the commercial real estate field. Mr. Smith holds a Bachelor of Health Administration from Central Michigan University in Mt. Pleasant, Michigan and a Master of Business Administration from the University of Detroit Mercy in Detroit, Michigan.